Like most Americans, I have a pretty mixed up immigrant background: in my case from Sweden, Poland, Romania, Ukraine and Russia. My mother’s family emigrated from Sweden during the ‘great wave’ of migration between the 1880s and the 1920s. At that time in Sweden, all farming communities had to pay for the salary, lodgings and equipment of at least one soldier – an arrangement that kept many of these communities in constant poverty. Since there was not much future in this arrangement, Carl Uno (my grandmother’s grandfather) emigrated to the US along with his parents and siblings on 8 June 1880. Sadly, one young sibling died on the long voyage aboard a ship with terrible conditions. The family soon travelled on to Minnesota in the American Midwest to become farmers: inspired by the 1862 ‘Homestead Act’, which offered up to 160 free acres of federal land. At some point Carl Uno changed his name to ‘Charley Westberg’ (in an effort to sound more American) and married Ida Anderson, the daughter of Swedish immigrants. They had 11 children, one of whom was Minerva: my great-grandmother. As a young woman Minerva decided to move to Chicago, where she would later meet and marry Aaron Johnson: a Swedish immigrant from Fränsta, a small town 400km north of Stockholm. My father’s Jewish family emigrated during roughly the same time period from Eastern Europe (namely, Poland, Romania, Russia and the Ukraine). 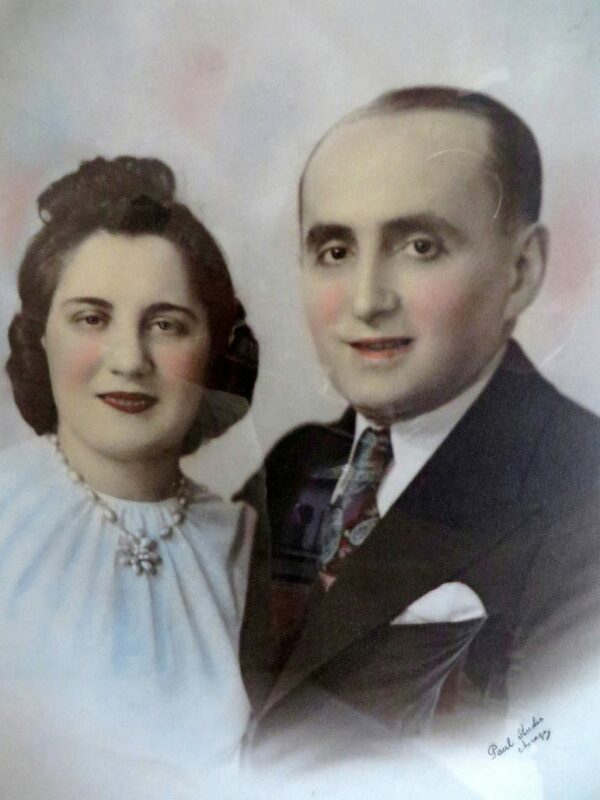 My grandfather’s parents were Yonkel and Sophie Siegel (pictured). Yonkel left Romania for the US in 1914 to escape the chronic persecution and anti-Semitism – which as we know would only get worse in the years to follow. Sophie Siegel came from Warsaw, Poland around the same time for the same reasons, in search of a better life. Both sides of the family had made their lives in Chicago, a famous immigrant city. My mother’s side had migrated mainly for a better economic future; my father’s side had, like many migrants today, made the difficult journey due to a range of factors including persecution and a search for better economic opportunities. Neither side was ‘highly selected’ in terms of education or socio-economic status – but they were highly motivated. They all wanted to do well for themselves in this new country; and although they mainly married within their own communities, they all valued education, work and language acquisition and clearly wanted to integrate. As a teenager, my maternal grandfather would spend his summers in Sweden, which allowed him to pick up the language. Growing up in the Swedish community in Chicago, my maternal grandparents, although very patriotic towards the USA, always felt close to their roots. As a child I remember laughing at how they would only drive a Swedish car (a Saab) and how they found everything from Sweden to be of superior quality. After retiring, they decided to go back to their roots and bought a little red ‘stuga’ in a nature reserve in Sweden. Their cottage sits beside a lake, close to my grandfather’s cousins. Even at their advanced age, they still live a transnational life: half the year in Sweden, half the year in the US. I’ve continued many of these traditions. I immigrated to Utrecht, the Netherlands in 2003, fully intending to return to the US after one year of studies. But, like a river, life takes its own course and 13 years later I am happily settled in Maastricht, in the south of the Netherlands. Like my grandparents, I live a transnational life, travelling back and forth to the US for a mixture of work and family visits between two and five times per year. I feel lucky to be able to ‘engage’ in both the Netherlands and US, contributing both professionally and personally to both countries. I’ve also been able to give back to the US by teaching courses and creating links between my old university (the College of Charleston) and UNU-MERIT, mainly through a summer research internship programme that benefits both my country of origin and country of destination. In political debates, I often see a tension between integration and transnationalism. One of the things we try to highlight in the Migration and Development Research Group here at UNU-MERIT is that migrants can be at the same time both integrated and transnationally engaged. Indeed, the migrants who are the best integrated are usually in the best position to give back to their countries of origin. I hope my story is a clear illustration of this. 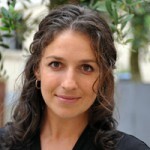 Dr. Melissa Siegel is Professor and Head of Migration Studies at UNU-MERIT. She has led and worked on projects for among others the Dutch Government, the IOM, UNHCR, ILO, GIZ, and Oxfam Novib. She previously held Visiting Research Fellowships at the Kennedy School of Government at Harvard University and at the International Migration Institute at the University of Oxford.